Bowmer + Kirkland is one of the largest and most successful privately owned construction and development groups in the UK. The University of Northampton’s Waterside Campus is our largest project to date. 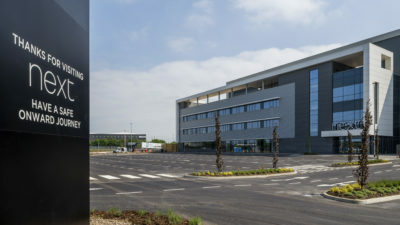 Several new buildings within extensive grounds alongside the River Nene offer exemplary learning and working environments that will act as a beacon of regeneration for the whole community. We completed a new rail manufacturing plant on behalf of CAF, the Spanish rolling stock manufacturer, at this former industrial site in South Wales. The plant combines manufacturing, warehousing, and testing areas and is fully integrated into the existing railway lines. The construction of a chimpanzee enclosure at Twycross Zoo was one of our more unusual projects. The design was dictated by specific needs, particularly with regards to security. This scheme brings together many elements of Conwy Borough Council’s service into a single headquarters. Replacing several smaller offices will eliminate inefficiencies and reduce the council’s overall accommodation and carbon footprint. Founded as a partnership in 1923 by Alfred Bowmer, a joiner and Robert William Kirkland, a bricklayer, we are now a large group of companies but are still very much a family business. The Bowmer connection with the company ended in 1968 and our Main Board now includes the fourth generation of the Kirkland family. Company founded by Robert William Kirkland (first generation), a bricklayer and Alfred Bowmer, a joiner. Jack Kirkland (second generation) who joined the company aged 15 as an apprentice joiner, was appointed Managing Director. Soncell International was formed to add diversity to the group and has companies in the USA and Middle East. Our strong financial base is reassuring for clients. When you employ Bowmer + Kirkland, you can trust us. We are here for the long term. Clean air, unpolluted waterways and an abundance of biodiversity - a healthy environment for all. The East Midland’s “most transformational office development scheme for a decade” is being built and developed by Bowmer + Kirkland….